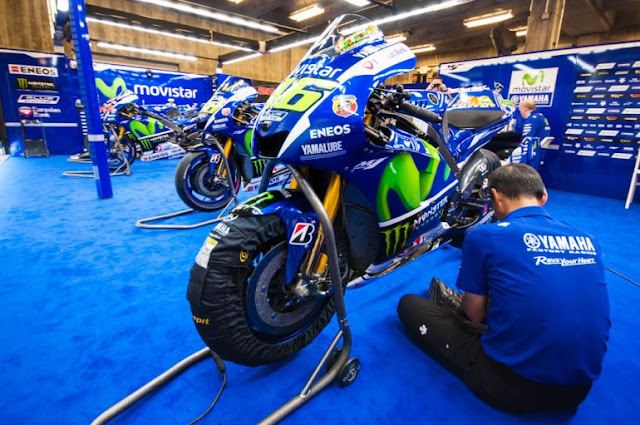 The bikes used in MotoGP are purpose-built racing bikes, strictly made to ride on track and are not available for purchase by general public. Every single bike is hand-built and precision-tuned to meet its rider’s unique specifications. 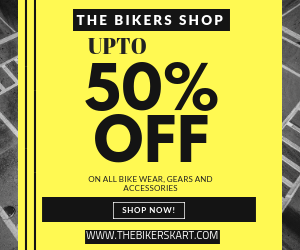 The maximum engine displacement permitted is 1000cc with a maximum of four cylinders and maximum bore of 81 mm - two-stroke engines are not allowed. A MotoGP bike needs to have a weight of 168 kilos including the fuel, and fuel is limited to 21 liters for a factory bike and 24 for an open class bike. Riders lose up to two litres of sweat during a race. The tyres cost about 1000 Euros per pair so they’re not cheap. That’s close to 73,000 INR. 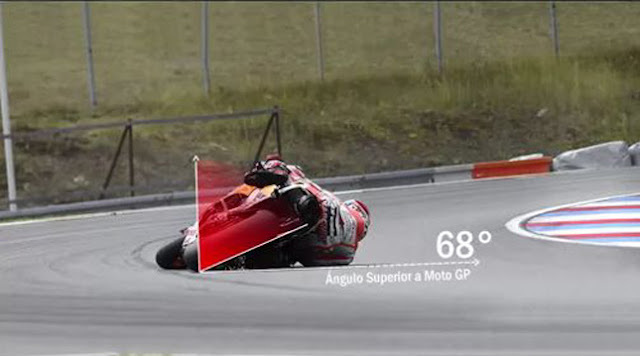 The seamless gearbox on GP motorcycle shifts a gear in 0.009 seconds. That’s fast! The motorcycle use carbon fibre disks for braking. 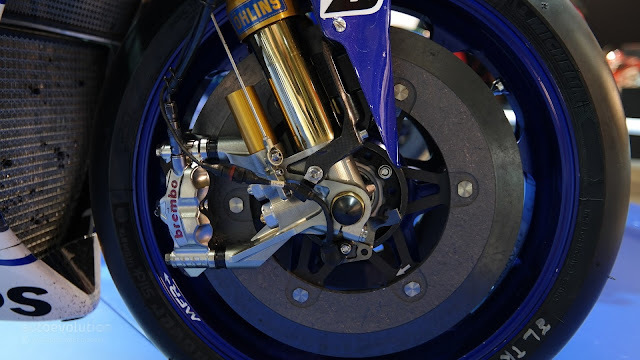 Reducing speed from 200mph to 60mph, the brakes reach a temperature of 900 degree Celsius. 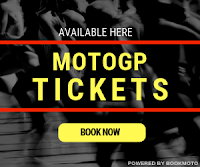 MotoGP bikes are capable of clocking speeds north of 340 kilometers per hour, the record being held by Andrea Iannone (#29) on-board a Pramac Racing Ducati Desmosedici GP14 and he clocked 354.9 kmph . 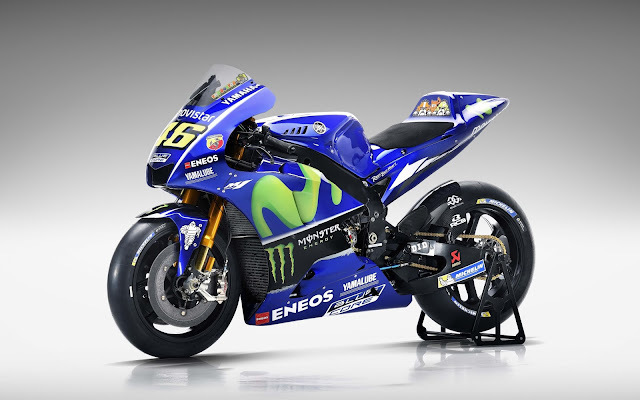 MotoGP bikes cost around $2 Million for each bike. 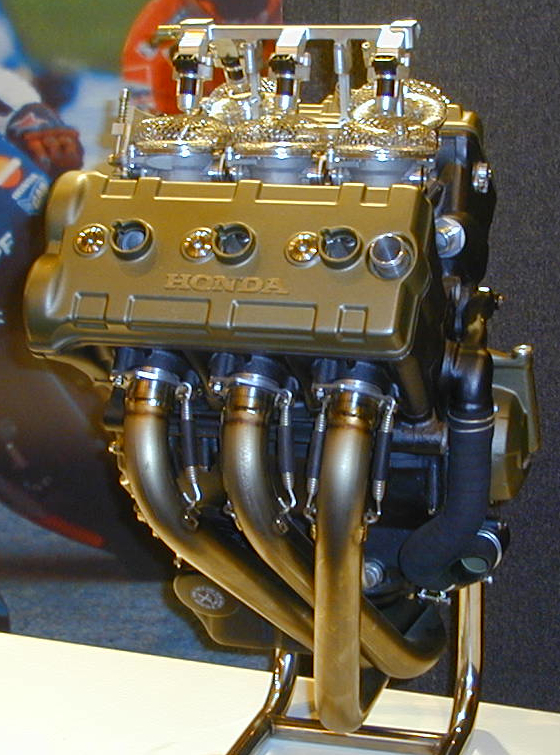 The power outputs can be anything upwards of 230–240bhp. 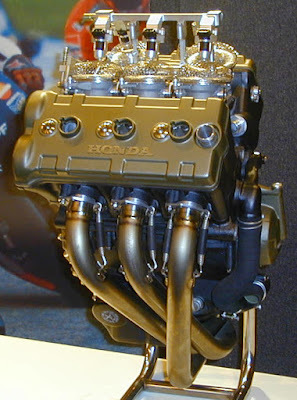 Most companies will not disclose the exact amount of power and the RPM it is achieved at though. Ducati has the most raw horse power and is rumored to be around 270 bhp and Honda has around 260 bhp.